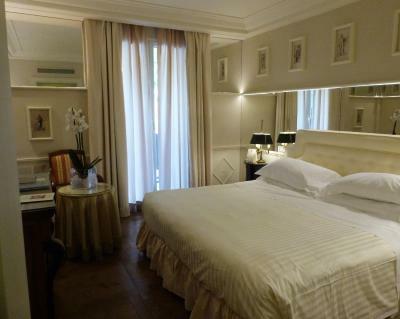 Lock in a great price for Excelsior Palace Hotel - rated 9.3 by recent guests. 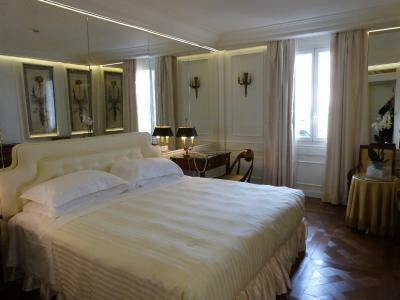 The property is fantastic unfortunately the gym was non operational due to maintenance work. Great staff and clean place excellent view from our room. Wanted to report if the housekeeping have found a JBL wireless bluetooth headset. As i am sure i left it at the room. 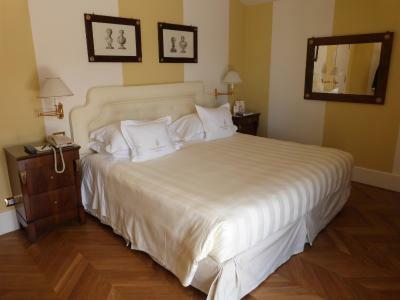 We were upgraded from a stand double room to a superior double room upon check in which was a wonderful surprise. 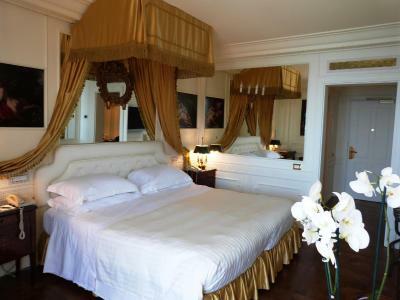 First class hotel in every way. Location is perfect, wonderful views and only a short walk to the town. All the staff were friendly and professional. 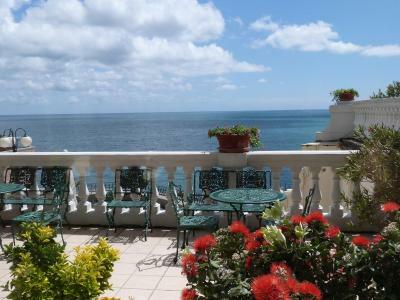 Amazing position on cliff overlooking Rapallo. Great views. Pleasant staff. .Parking great ! Room was comfy. Absolutely satisfied. Big compliment for the staff. It was excellent!! 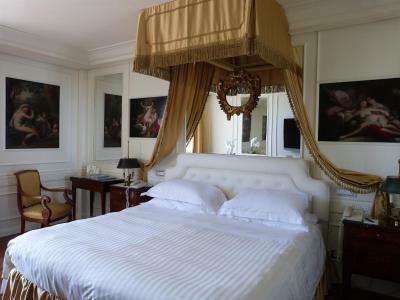 We got a free room upgrade with a wonderful sea view, the bed was huge and very comfortable and the room was spacious and very clean. Also, very polite and helpfull staff. receptionist and staff in general were very professionals and helpful. The hotel is beautiful and service was really good. Great views and fabulous breakfast! One of our top picks in Rapallo.Featuring panoramic views of Portofino Bay, Excelsior Palace is a luxury 5-star hotel offering 2 restaurants, sun terraces and spacious rooms, many with sea views. 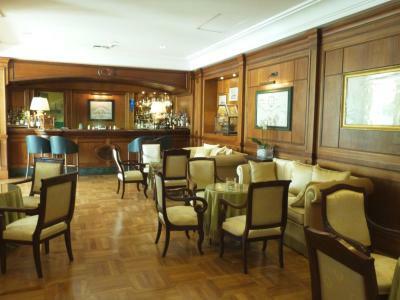 Breakfast buffet, lunch and dinner are served at the on-site Lord Byron restaurant, overlooking Tigullio Gulf. The à-la-carte Eden Roc restaurant is at the private beach, open in summer for both lunch and dinner. 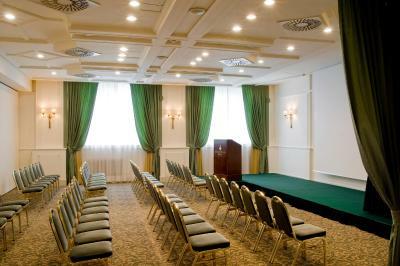 Featuring free WiFi, rooms at the Excelsior Palace come with air conditioning and satellite TVs. The private bathroom includes luxurious bathrobes and slippers. 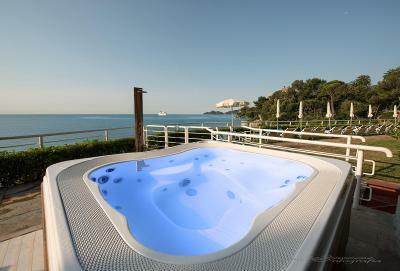 The wellness centre features a heated indoor pool and a gym with sea view. Guests can treat themselves to a massage or beauty treatment. On-site facilities also include 2 snack bars. 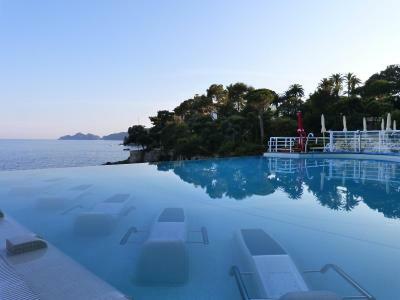 From June to September, guests can also access a private beach with 2 infinity pools. 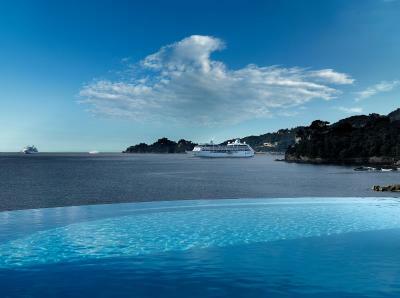 Portofino is 4.3 miles from the hotel, reached along the scenic SP227 coast road. 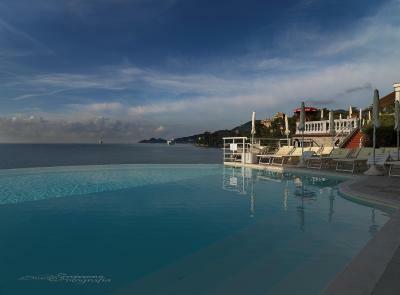 Rapallo Station is a 5-minute taxi ride away. 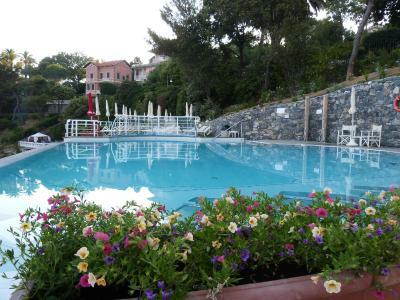 This property also has one of the best-rated locations in Rapallo! Guests are happier about it compared to other properties in the area. 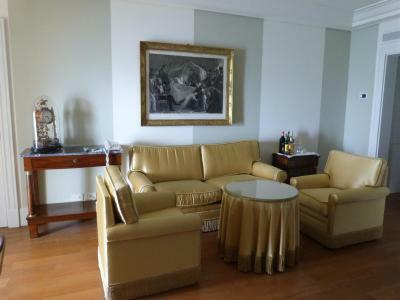 Excelsior Palace Hotel has been welcoming Booking.com guests since 2 Mar 2010. 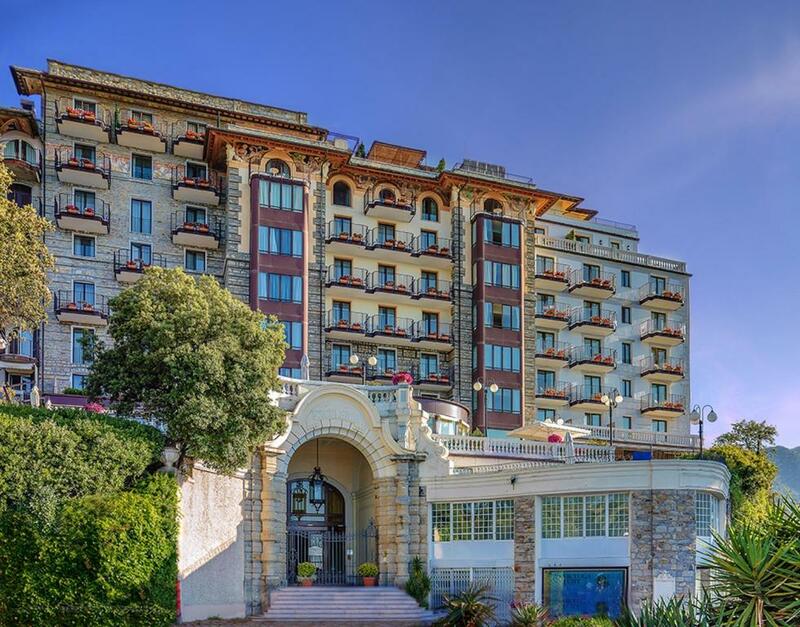 When would you like to stay at Excelsior Palace Hotel? This air-conditioned room comes with free WiFi and a satellite TV. The private bathroom includes luxurious bathrobes and slippers. 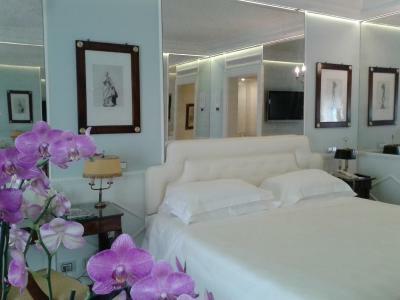 The room includes free access to the wellness centre and free access to the beach club from June to September. 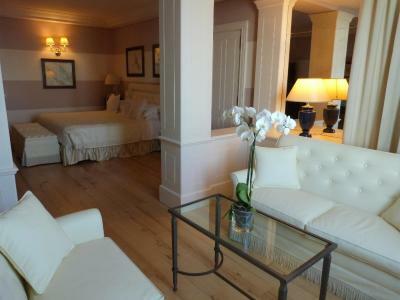 This room cannot accommodate extra beds nor cots, and it does not have sea views. This air-conditioned room comes with free WiFi. 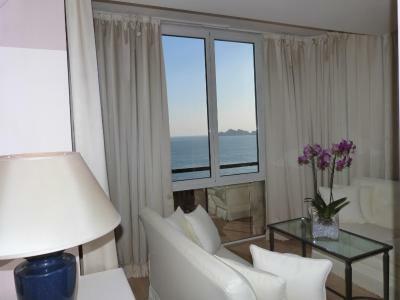 Some rooms have a small balcony and some have partial view of Rapallo Bay. 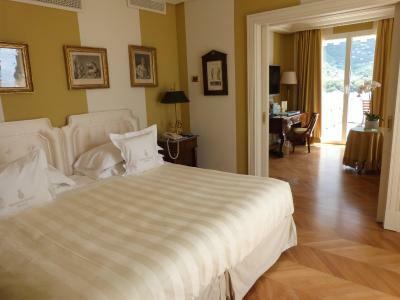 This spacious Junior Suite offers a view either of Rapallo Bay or the Portofino Coast, free WiFi, and a bow window. 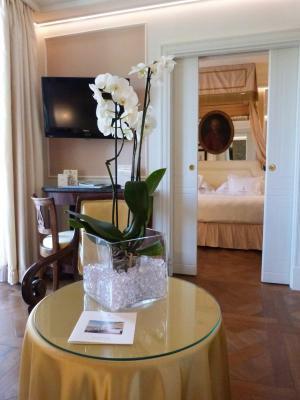 This spacious suite offers a furnished balcony with panoramic views of the Portofino Gulf or of Rapallo Bay, a living area with a TV and free WiFi. 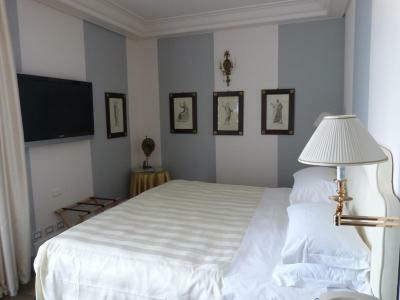 Featuring free WiFi, this spacious room comes with air conditioning and a satellite TV. Some have partial view of Rapallo Bay. The private bathroom includes luxurious bathrobes and slippers. 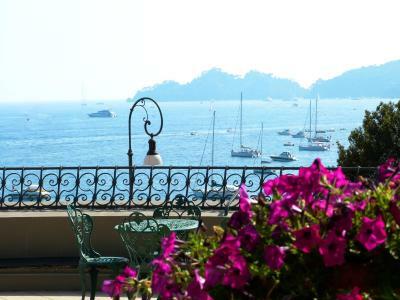 Featuring a balcony with views of Portofino Gulf or Rapallo Bay, this spacious room features free WiFi and en suite bathroom. 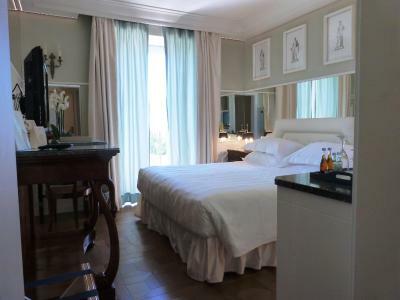 This triple room has air conditioning, bathrobe and minibar. This room does not have sea views. House rules Excelsior Palace Hotel takes special requests - add in the next step! ATM card Excelsior Palace Hotel accepts these cards and reserves the right to temporarily hold an amount prior to arrival. Excelsior Palace Hotel accepts these cards and reserves the right to temporarily hold an amount prior to arrival. Please note that access to all wellness centre services, outdoor swimming-pool and beach club are included. The private beach area is available from the beginning of June until the end of September. Please note that half and full board rates include 3 courses and do not include drinks. Please note that surcharges apply for pets, both for staying in the hotel and separately for access to the beach club. Only small-sized pets are allowed at the property. Please note that a garage with CCTV surveillance is also available at an additional cost. Although the dining room and service was exceptional the dinner we ordered was not. But the breakfast the following morning more than made up for it! Gelato on the terrace is a little pricy. La camera executive e’ stupenda.. The bar that was in the hotel took a ridiculously long time to bring me a 24 Euro hamburger that they did not include the cheese or onions on that I had ordered... Not the best for when you are just exhausted and hungry! The view from our room was outstanding. The breakfast was also very nice! air-conditioning not working, not fully soundproof we could hear noises from the streat, rooms surrounded us and water pipes in the ceiling. The staff, location, atmosphere in the hotel and breakfast. 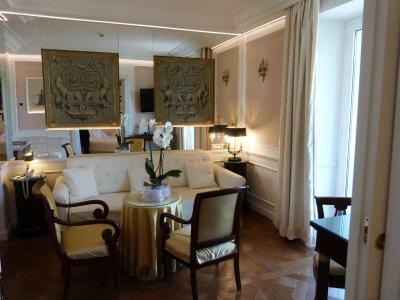 Great experience and one of the best hotels I stayed at in Europe.